I think you gotta do it to believe it… and not just on a do it for the sake of doing it, but for actual outcome, or examination of phenomena/materials where you learn from problem solving with materials. I couldn’t resist (even though I’m battling fatigue and over-whelm right now) I had to take the Tinkering Fundamentals: Motion and Mechanisms Exploratorium course on Coursera and am fascinated by Zubrowski’s art and argument that we need to engage with phenomena on an aesthetic level rather than just conceptual level. can tinkering be part of a graded assignment? Their challenge is a tough one, and a valid one. I used to get so irate with 'what’s the point?" and after looking into inquiry I am really glad my students do pose the question, although sometimes I don’t know have a ready answer and am pushed, but I am becoming less shy to pose it to others (like my students… well why do you think it would be worthwhile?) or look up other people’s responses or let them know I don’t have an immediate answer and will have to get back to them on that. You could ask them about their states of learning, what do they recall most vividly in their experiences as students? We just had parent teacher interviews and my students are working on science fair. They have been mucking about and their grades reflect this. One father and son came in, and I told them straight up the student could play the blame game with partners about who has done or not done what, or he could figure out how to work with his partner because of all the reading I have done about skills needed for the future, one thing that is repeatedly emphasized (aside from creativity) is the need to work with others. I wish you courage! It’s such an important discussion to have with your students, future teachers! Their students deserve teachers who understand that creativity is essential to being vitally engaged. I’am thinking in the same direction, more specifically to create a club house (scratch and basic robotics) in France for 5-16yo. Could you say roughly what is your motivation and how do you come to that idea? In what region you are looking for to be based? We have been working in platform named CLOQQ for a year, so kids can learn how to create different projects working with creative technologies. But, after this course, I think that we can rethink some of the experiences to open them and try turn the playpens into playgrounds. 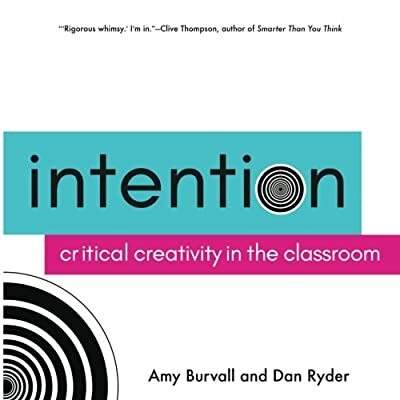 The idea is to create activities that ignite their imagination and their curiosity, and we need to create a great base and wide walls to grow. Quiero hacer un proyecto con niños de 1° primaria para recibirlos el año que viene en febrero. PROPÓSITO - Indagar e identificar raíces familiares. tíos ,primos. Fotografías de espacios físicos, finca, casa, pueblo. DESARROLLO- Hacer tablas de descripción familiar y espacial. Escoger materiales para representar a mi familia. CIERRE- Hacer videos explicando su árbol genealógico. Los harán ellos mismos en parejas. Presentación de los videos de todos. EVALUAR- Podrán surgir nuevas preguntas acerca de ¿Quién soy? o ¿ De dónde vengo? para segur trabajando. HERRAMIENTAS- Tablet. Diferentes materiales de construcción como cartones, cajas, pinturas, alambres, material de deshecho. I am deeply distressed that these are Preschool and Elementary teachers if they have such disregard for creativity. They don’t feel joy and wonder with their own kids? Why would their students be any different? Are they so financially stressed that nothing is fun? if that is the case I would suggest what happens at toy and game conferences before you send morning lecture sessions, or begin afternoons - bring streamers or toilet paper and have them throw it around the room for one minute. It changes the energy in the room. separate the head from the body”. Esta frase me ha recordado la vieja pasión que he tenido por la experiencia de la corporeidad y ese sinsentido –separar la mente del cuerpo-, que ha creado cantidad de estigmas y etiquetas que nos pueden marcar para toda la vida. Hace años me sumergí en la experiencia de la corporeidad en la danza, pero no solamente en la disciplina de la “danza artística”, sino la ritual y otras más, posteriormente tratando de acortar la gran distancia que hay entre los derechos de los niños y su ejercicio trabajamos acerca de cómo ellos vivían “en carne propia” esos derechos y me quedé con la inquietud de profundizar en su experiencia de corporeidad en cuanto a los derechos especialmente el derecho a la educación, al juego y a la participación. Ahora durante este curso y finalmente con la frase de este poema me gustaría retomar el tema con ellos añadiéndole la experiencia de herramientas como Scratch como extensiones de la corporeidad, dándoles así la palabra del porque son importantes la cuatro P´s y la creación de espacios para ello. En mi experiencia nadie mejor que ellos mismos para argumentar más clara y directamente la importancia de esto. Thank you so much for sharing this! It’s marvellous! Hi Alex! Any examples of its application? I’m interested too.Thanks! that sounds really really neat. I really enjoyed Brené Brown’s ted talk. I do hope you will consider teaching. My sister got her degree but due to such an uncooperating, cooperating teacher decided the class wasn’t for her. She didn’t want to become like that… As a confident misfit in the field of mostly polite and conservative women who populate the profession, I invite other non-fitters! Please! Come on in. Let’s make more space for otherness, because our students need it too. My project idea is to create a simple E-Learning platform where children will get the opportunity to explore and experiment their creativity safely. I strongly believe that in today’s complex world, children’s futures are determined not only by their ability to master the basics of reading, science, math and computers, also by their ability to think critically and solve problems creatively. All children need to be truly creative and what’s important in any creative act is the process of self-expression. It’s also important to provide children lots of time to explore materials and pursue their ideas. This includes time to think about how to plan, design, construct, experiment and revise project ideas. This E-Learning platform will provide all these opportunities for the children. It will also provide opportunities for team-work and collaborating with other children. My ultimate vision is to be the source for childhood creative learning on the internet available from anywhere and without charge. The Activities are designed to be used in either formal or informal settings, indoors or out, with a single child, a small group, or larger groups of children. At home, with a caregiver or family, at school, on a field trip or after, in the playground or in nature on vacation. My hope is to provide the beginning of creative thinking for the adult, who may have low experience with kids, from preschool to middle school, in school or out. Children are imaginative and will show the adult the range of possibilities that their group can think of, which can define where to explore next. Too many adults have no idea how to have fun with kids. If I can help that change even just a little I will consider it a success. Thank you so much for the encouragement and the call to join! I love the phrase “confident misfit.” Going to start using that phrase. I think my doubt stems from my teaching experiences thus far. I student taught in 5th grade and was hired as an interim teacher for a 4th grade teacher who retired before the last quarter of the year. There was little help from the administration, I had 32 students, and I was told to do test prep until the end of the year. The kids were amazing, but I felt so discouraged every day because it felt more like babysitting and crowd control. I could rarely address the needs of the individuals in the classroom (granted, I came in at the end of the year, and it was a difficult time to introduce new procedures). There are so many incredible alternative schools where I live now in Austin, schools that focus on play, outdoor exploration, etc., and I know I would thrive in that kind of setting… However, most of those schools have expensive tuition costs, and I’m passionate about helping underprivileged children who really need a champion. I feel torn when I think about teaching because I don’t know where I’d feel happy. Great idea. I am a professor for early and secondary education students. I am working on similar projects. I feel we are in a gap in education because the teacher prep students in college have never tinkered before and yet they need to be the initiators of tinkering when they get into the field in 1-2 years. I am working on a project to tinker with both hardware, software, and content for delivery of educational material to students with no internet access. I am trying to turn class time into tinkering time. It looks much less like an education course and more like a robotics or engineering course. The hardest part of this course is I am taking on the responsibility of connecting all the dots to prove the students are using technology, creative thinking, and learning the standards required by accreditation. This is my new version of a flipped class. You play and learn and I’ll help you do your assessment evidence.